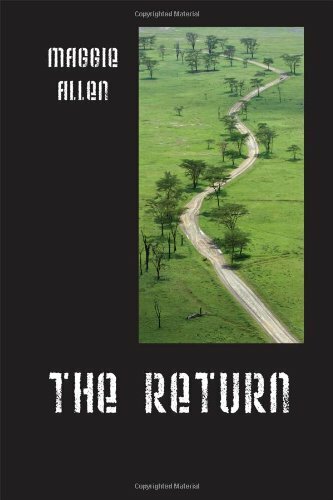 “The Return” by Maggie Allen is the first book in the Totoboan Trilogy. Virginia Wilson is graduating from high school and wants to go on a great adventure before college begins in the fall. When she discovers that Nick, her crush from a trip to Costa Rica, is leading a tour in Totoba, Africa, she is ecstatic. After she talks her parents into taking her to this relatively peaceful African country, Virginia is looking forward to seeing Nick again. Once they arrive in the country, however, things seem a bit off. The locals appear to be hiding secrets. Things really fall apart when the tour group sets off on their journey. The group soon finds themselves held captive, in a strange place, by a malevolent supernatural energy. People in the group begin to change. Their darker sides start showing through. As the group becomes divided, more people begin joining them. Chaos ensues. Virginia tries to help Nick hold their group together. He has lost control of the majority and they are angry at being trapped in this strange place. Virginia tries to help find a way out of this place. She is devastated to learn the truth about why they are there and that there is only one way to be released, which is with a sacrifice in her group. Somehow, I accidentally began reading this trilogy by starting with the third book. I enjoyed it so much I knew I had to read the other two. It is amazing to know that the author wrote this first book when she graduated from high school. Allen does such a good job of making Totoba seem real; I had to look for it on the Internet. It does not exist. Neither the people nor their complicated religion is real, but it sure seemed like they were to me as I got caught up in the story! The characters are complex and go through a great deal of change as the story progresses. The darkness that comes forth is pretty scary and makes this book a great read. I highly recommend “The Return” by Maggie Allen, and look forward to getting into the second novel!